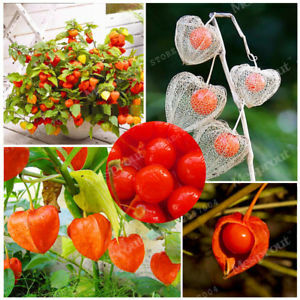 Number 10: Physalis alkekengi or Chinese Lanterns. These plants are super hardy in the garden and the large papery husks naturally turn orange every autumn. They can become weedy, so it's best to have them in containers and use them for decor in the fall on the front steps of your home. We have them at only 29.99 and they come with a nice Welcome Fall pick to dress them up for Thanksgiving Weekend.